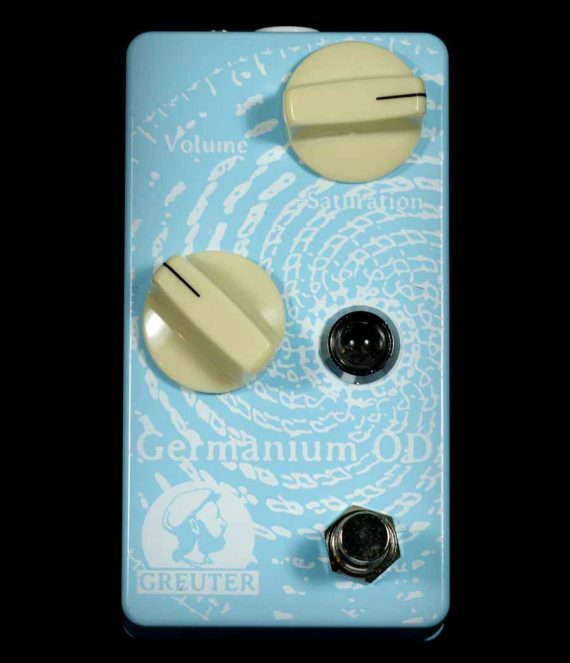 The Germanium OD is based on the legendary Tone Bender Mk2. 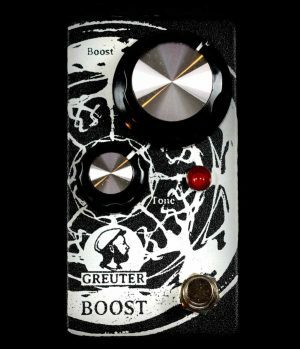 It creates from dynamic overdrives to classic 60’s Fuzz tones. It cleans up nicely when you turn your guitar volume down. 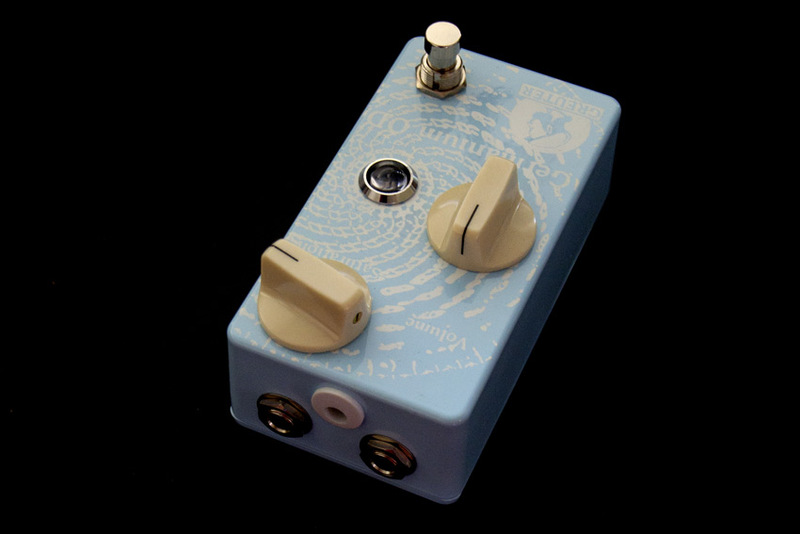 It’s touch sensitive, pushes upper mids and overtones, and it cut’s very well through the mix. Great to reproduce legendary guitar tones like; Jimmy Page (Yardbirds and LedZeppelin), Jeff Beck, Eric Clapton (Beano and Cream), Billy Gibbons (ZZ TOP) and many more. 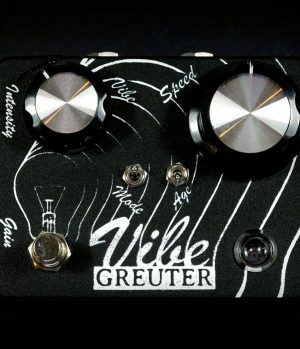 Handbuilt in Switzerland, true bypass, Switchcraft plugs, big knobs, hand selected, matched and biased germanium transistors. Since the germanium transistor are PNP and have positive ground, you usually are not able to use germanium pedals with a normal 9V adapter. 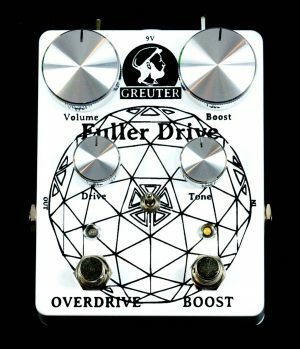 The Greuter Germanium OD has an internal polarity converter. This allows you to use it with normal 9V dc adapter (center negativ). Volume: It has more than enough volume. 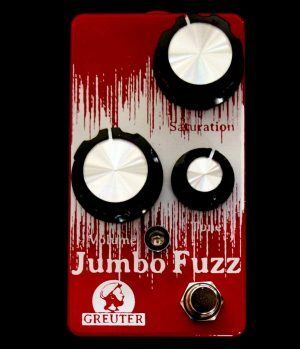 Saturation: From overdrive to sustaining fuzz. Works with 9V DC (negativ tip) adapter. We suggest a regulated and isolated power supply. Version 2 (V2) is now available. It’s in a smaller box with top jacks. It has more sustain and little less treble then older version.